In this week’s episode of The Logic Pros, we’ll be taking a look at syncing Apple’s new Music Memos iOS app with Logic Pro and GarageBand on the Mac. Late last week Apple released a new app called Music Memos designed specifically to allow songwriters and musicians to quickly capture audio and develop song ideas. And on top of acting as a standalone tool for songwriters, it’s also a companion for Apple’s full-fledged audio suites, GarageBand and Logic Pro. 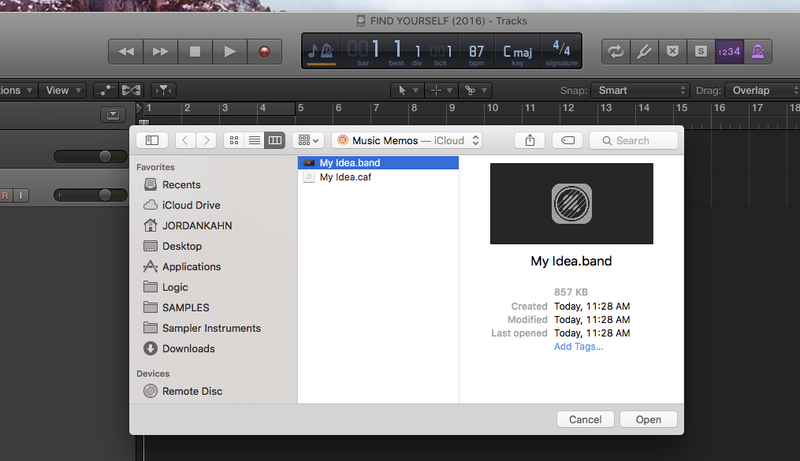 Today we’ll take a look at how to access the new Music Memos feature from all your devices, and the options for taking an idea you’re developing in Music Memos into GarageBand or Logic. 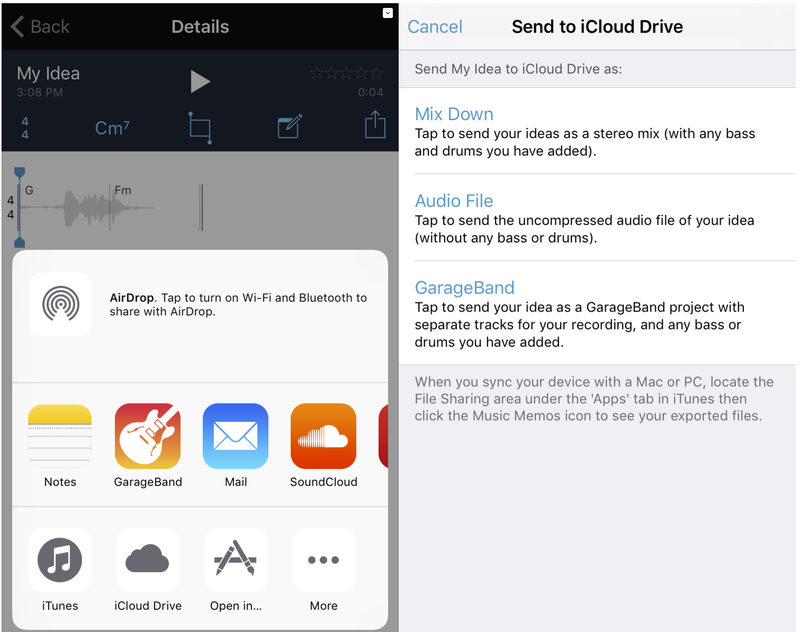 First, you’ll need to enable iCloud for Music Memos to make sure they sync across devices. If you missed the prompt on your first launch, you can enable it from the iOS Settings app at Settings>Music Memos>iCloud (pictured above, right). And also make sure you have the latest version of Logic Pro X or GaragaeBand (version 10.2.1). 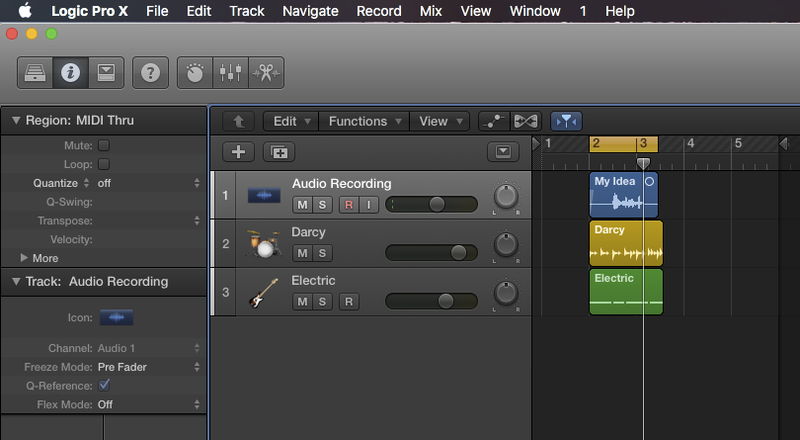 In GarageBand, you’ll find the option under File>iCloud>Open iCloud Song. Since we’ve already enabled iCloud in the Music Memos app, all of your memos will automatically be saved and available in Logic or GarageBand. However, by default iCloud only saves a CAF audio file, which gives you both the audio you recorded and the ability to import tempo information into Logic or GarageBand, but it won’t preserve any drum or bass tracks you’ve added in Music Memos. An audio file is what iCloud saves by default, but a Mix Down will get you a stereo mix (one audio file) with any bass and drums you might have added using the Music Memos’ automatic build-a-song features. Alternatively, saving to iCloud as a GarageBand session will let you import the entire music memo as separate tracks (your recorded audio and any drums and bass you’ve added), so you can continue to edit each independently inside of Logic or GarageBand. 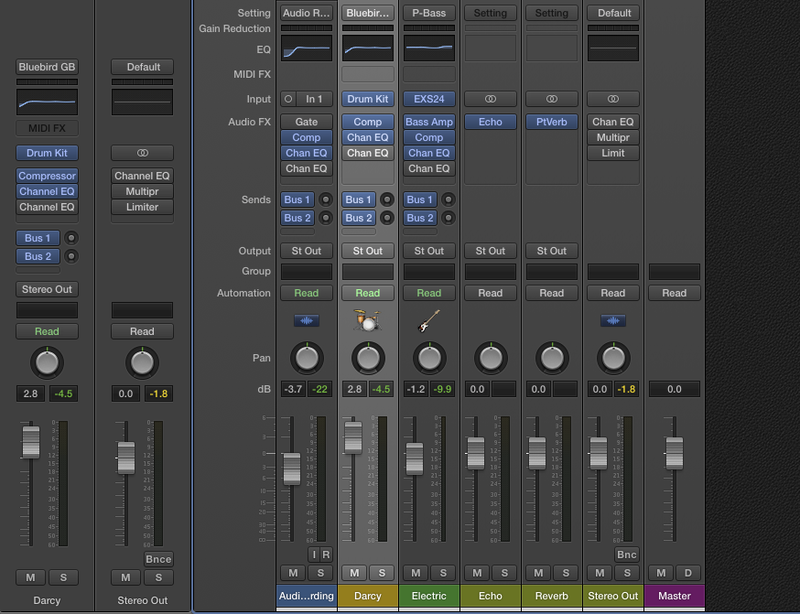 There isn’t specifically a Logic session option, but the GarageBand session will open just fine in Logic (as pictured above) with your drum and bass tracks preserved separately for editing. You’ll notice any of the auto-drum and bass tracks imported from Music Memos open on tracks in Logic with channel strips already loaded up with Drum Kit Designer and a bass patch for the bass track (as pictured above). 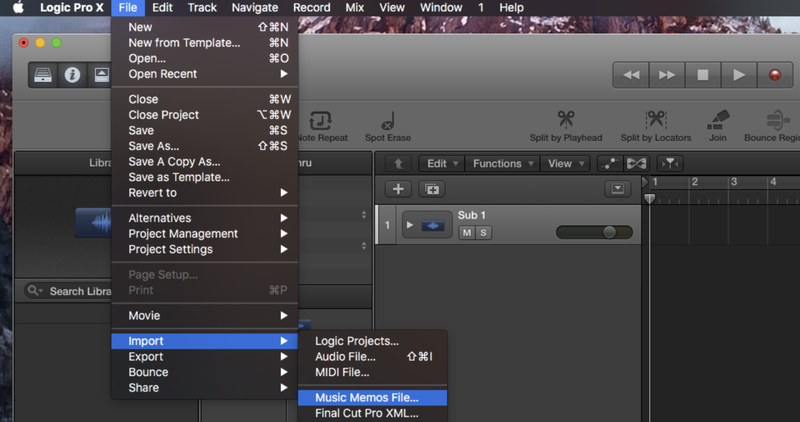 You can then edit the Drummer track and bass tracks however you please, either editing the MIDI or making changes to the channel strip/instrument settings (and while you’re at it, check out The Logic Pros: How to customize Logic’s Drummer, beat-by-beat).